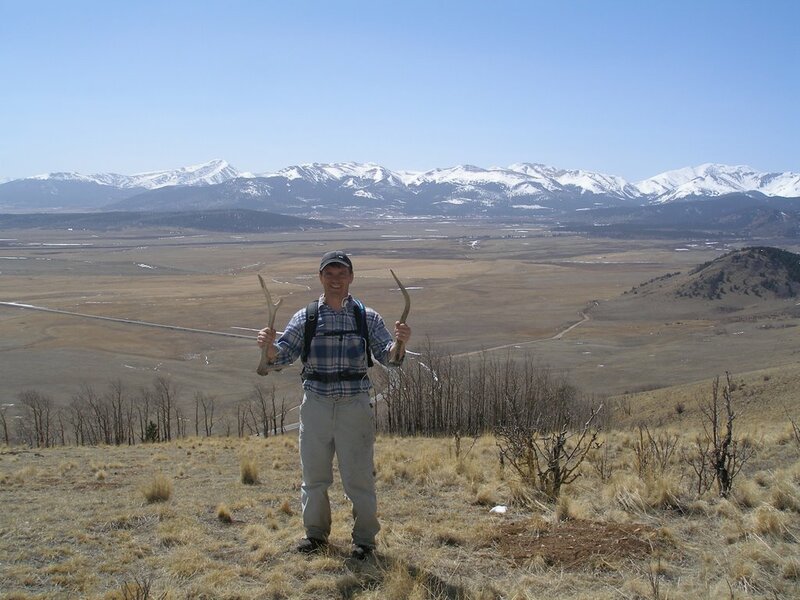 The strange thing about the last five antlers I've found: the were all from the left side. Weird. Anyway, on the way home I got stopped on 285 near Shawnee doing 10 over. The trooper was very nice and was going to let me off with a warning when Nick started asking too many questions. He almost talked me into a ticket. Luckily, we explained that Nick was from the Ukraine and then the trooper was cool. He did ask me about the human bone that I had strapped to my backpack. In truth it was just an elk bone that I was bringing to my dog Gracie. I can't imagine what was going thru his mind! Nick and I were itching to get out and take a hike. Although we have done a little this winter, it was not enough to quench the thirst. We decided to take our chances that there were a few antlers left in the woods for us to find. 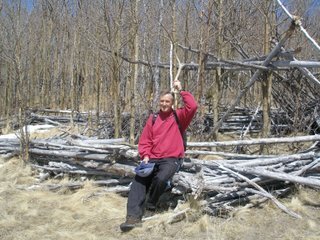 We headed off to the Lost Creek Wilderness area for the day. We were heartened that we were on good grounds because we actually spooked a herd of elk soon after we started hiking. We followed their tracks for the better part of the morning, but didn't find any antlers. Along about noon we decided to stop for lunch. One of the simple pleasures in life is a cup of Nick's hot sweet tea. Luda also made us a nice apple cake for dessert. We decided to mosey on back toward the truck when I found my first horn! It was a spike antler lying in the mud next to a creek. Soon after Nick found a nice 3-pt on a grassy hill side. I couldn't let him out-do me, so I was glad to find a small rag horn in the woods. Not a bad haul for a Sunday! I spent my last day in Georgia at the Atlanta History Museum. 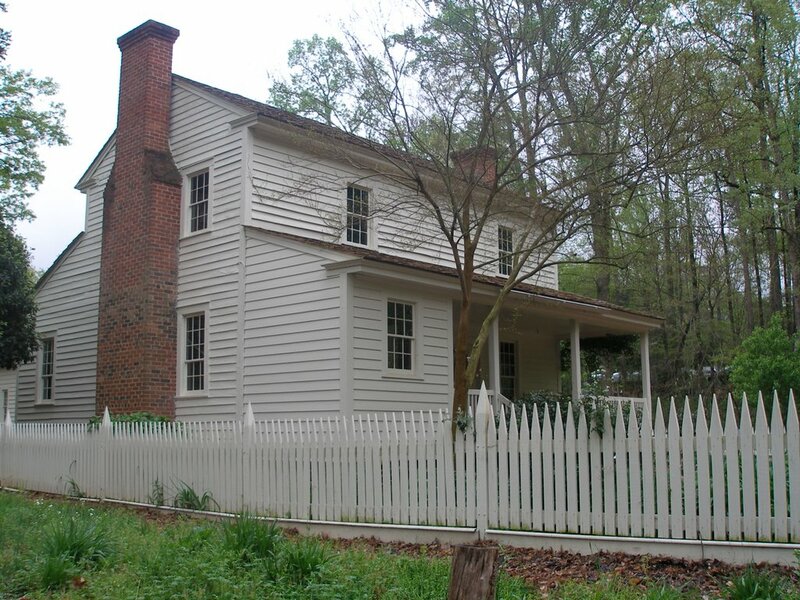 This museum recalls the civil war, folk art, and the history of the Masters. 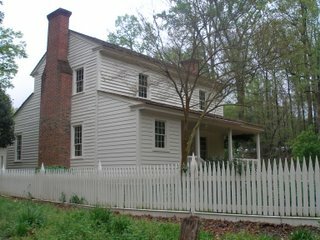 It also has two great displays of traditional southern houses. 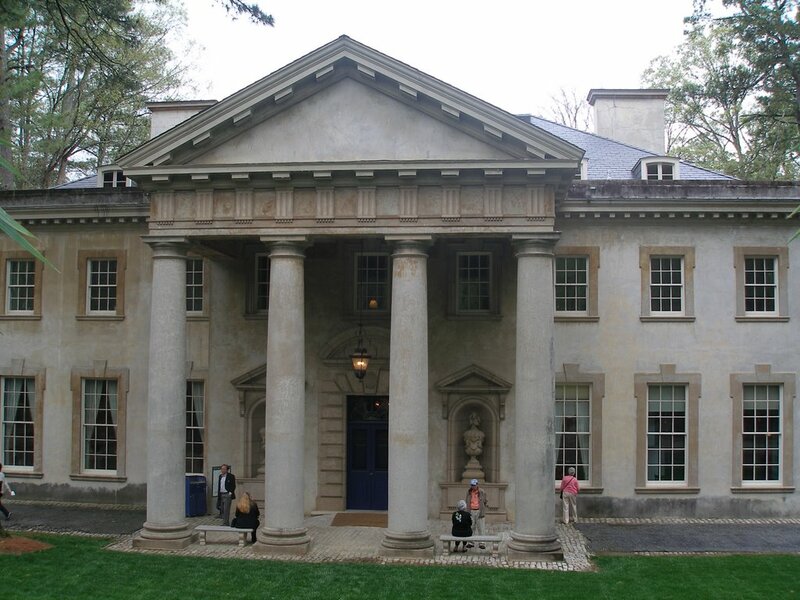 The first was a two story upper middle-class farming house. The second was the Swan mansion. I highly recommend a trip here to see how the better half lived in the 1920's. 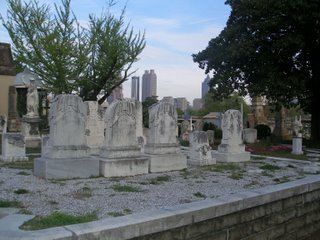 I also took a trip to the Oakland Cemetery to check out some old headstones. 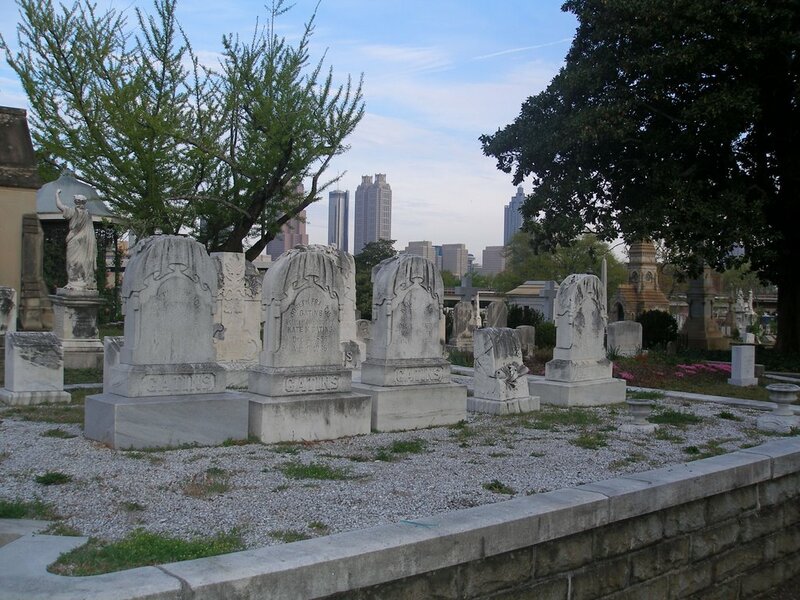 This cemetery has some famous people as well as a whole section of civil war heroes. 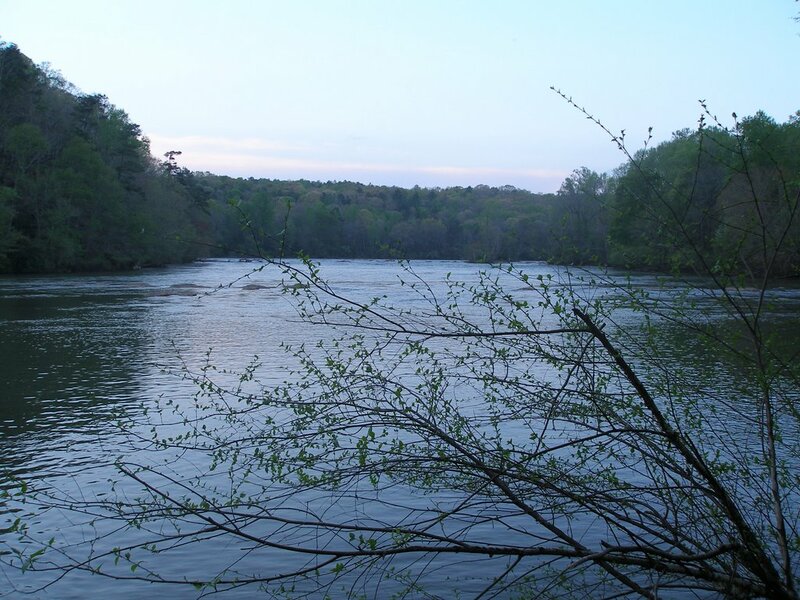 Friday I took a hike along the Chattahoochee River. I would say the river is a bit bigger than the Colorado River at Moab. It was good to see flyfishermen and rafters enjoying the river. I found a nice spot along the riverbank to just relax and reflect. As I continued my hike, I decided to stick with the riverbank instead of following the norman trail. This lead to a very interesting section with some nice cliffs to scramble. If you are in the mood to use your hands along with your feet, I would recommend this section. 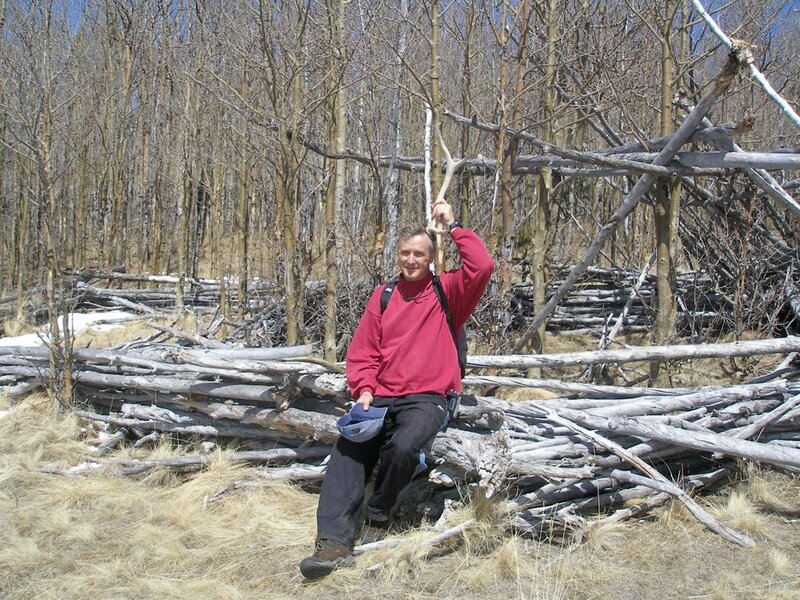 I finished up the hike by kicking back on a tree growing at a slant. Viewing the full moon thru the tree branches was eerily beautiful. I also spent some time Friday at the Atlanta Natural History Museum. While it is a nice museum, it doesn't compare to Denver's. 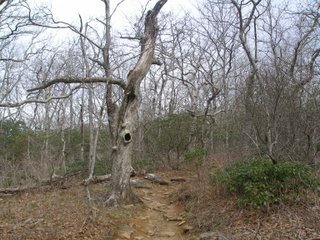 Thursday brought a unique opportunity for me to hike a section of the Appalachian Trail. 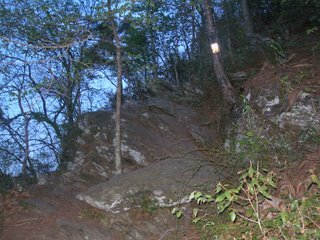 Having no familiarity with Georgia, I wasn't sure which section of the trail to tackle. 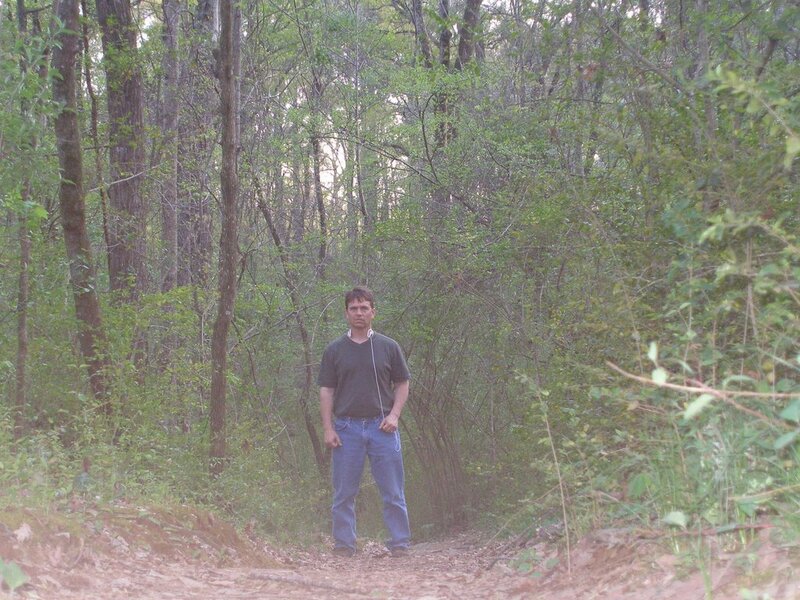 The start of the trail would be logical, but driving there held a risk of getting lost. 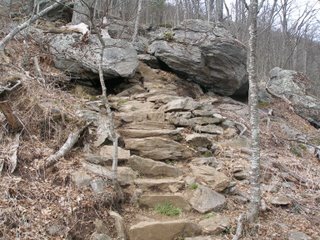 There are also sections that promise waterfalls, but I picked Blood Mountain since it is the highest point of the AT in Georgia. My peak baggin' bias at work. 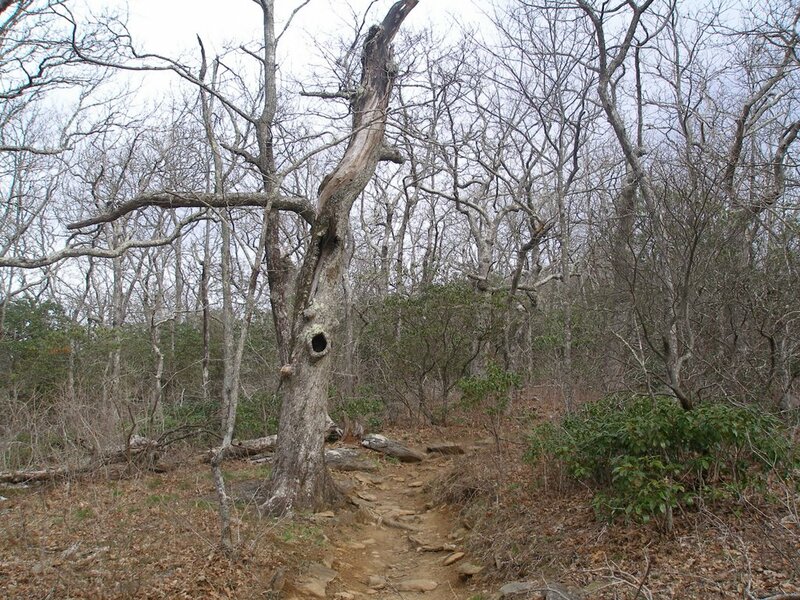 Although the trees have not fully bloomed, the Blood Mountain Wilderness is still beautiful. The rolling hills are obviously different than the rugged Rockies, but cool in there own right. The trail itself has been thoughtfully constructed to provide a very interesting climb. This trail to me feels exactly like a trail should. 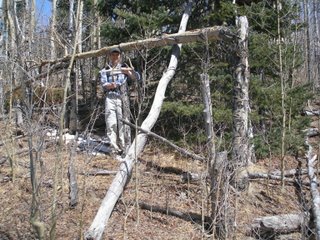 Growing up in Western Colorado I was used to vaguely defined trails and a lot of bushwacking. 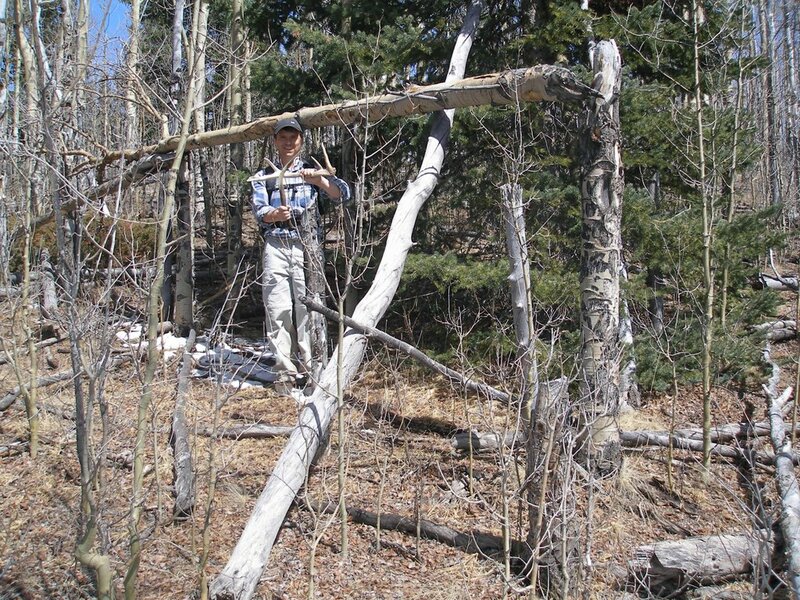 In contrast, the eastern part of the Colorado Trail and many 14er trails seem too wide and too well defined. The AT is a perfect balance of these extremes. The trail itself has some nice sections that are Class 2 climbs. The bottom section crosses a couple of creeks and is heavily wooded. As you ascend the views become more frequent, culminating in the shelter at the top. You can do a bit of bouldering at the summit, so bring your gear. Wednesday signalled the start of Michelle's conference and thus a chance for me start doing the stuff she has less interest in. Whereas Denver has a shining beacon for book lovers in the Tattered Cover, I found no equivalent in Atlanta. Instead I found many smaller yet very unique book stores to explore. The used book stores in the Virginia Highlands area offer a eclectic selection and I found a few gems, but my favorite is the A Capella bookstore in Little Five Points. I made an awesome find in a 1923 book titled "Mountain Climbing". It is now proudly displayed in my cubicle. Before Michelle went off to her conference at the Georgia Dome, we took the Coca-Cola tour. 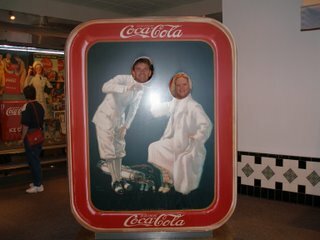 The history of Coke is an important American success story and the tour makes it fun. At the end you get all the Coke product you can drink. Michelle fell in love with the Apple Soda from China and the Birch Beer. I liked the Italian appertif that has a strong aftertaste similar to tonic water. 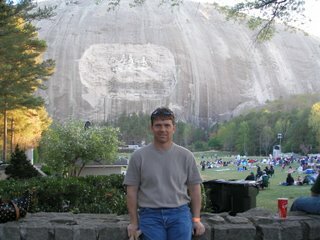 Okay, so if its your first time in Georgia it is obligatory to visit the largest attraction in the area: Stone Mountain. Well for a Colorado kid this thing isn't a mountain; what it looks like is a giant rock dropped into the middle of the forest. We took the gondola to the top and the view is awesome. Trees for miles. The trail from the bottom looks like it would be a great mountain bike ride if there wasn't hundreds of tourists on it. The paddle boat ride on the local lake was very relaxing. We ended the day with a laser light show shot against the rock wall. The laser show displayed a great tribute to the South and to America. Oh yeah, I almost forgot to mention the three Southern generals carved into the side. 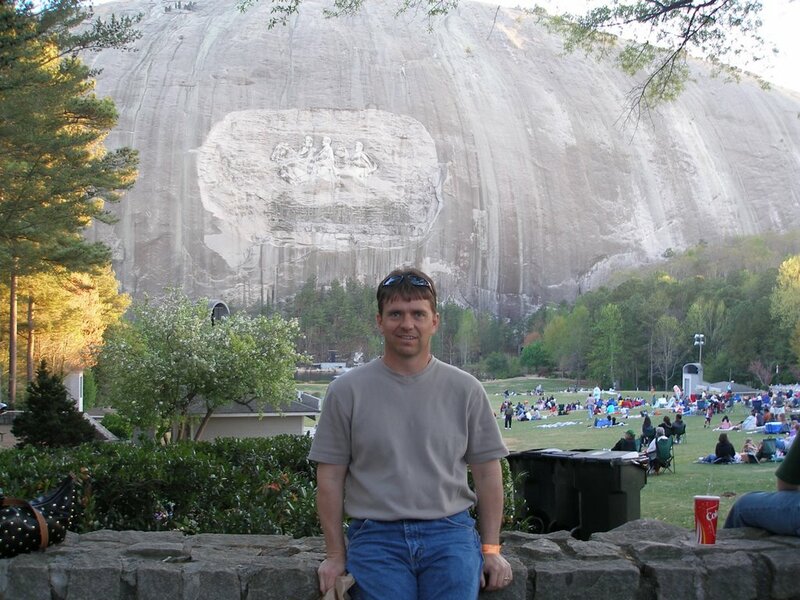 Quite impressive, but not as big as Mount Rushmore. Michelle and I spent a week in Atlanta, Georgia. She was attending Juanita Bynum's conference and I went along just for fun. When in a new town, I've found a good way to get a feel for it is to go for a run. In Atlanta I recommend a jog through Piedmont Park. 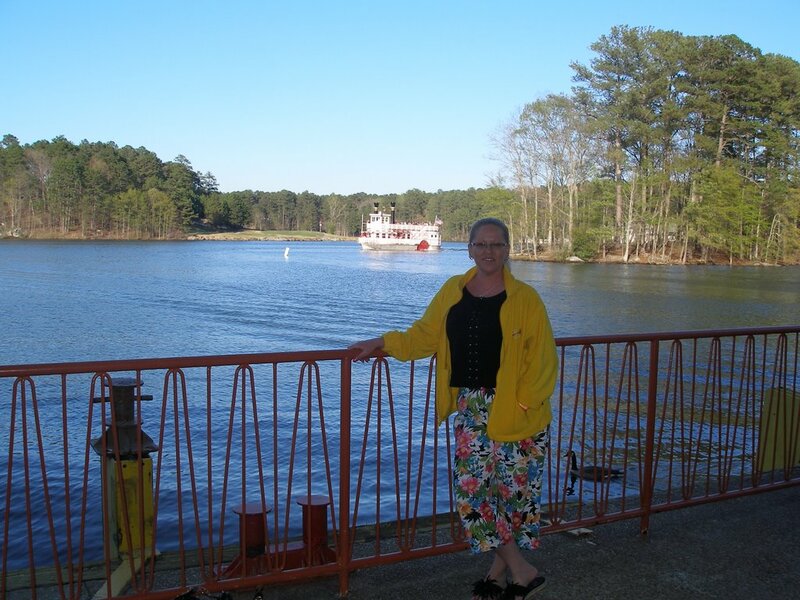 The dogwood lined lakes makes for a great introduction to the nature in the area. 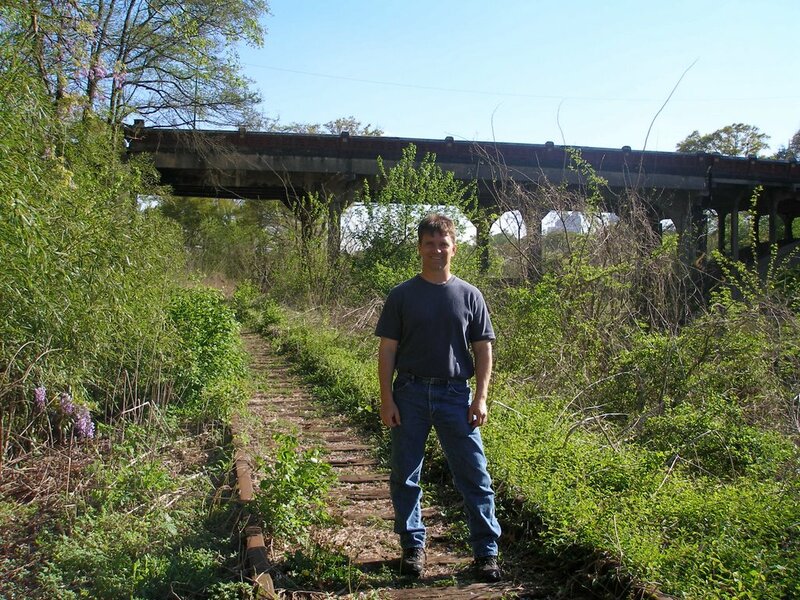 Don't miss the old train track below the Park Drive bridge (see photo). 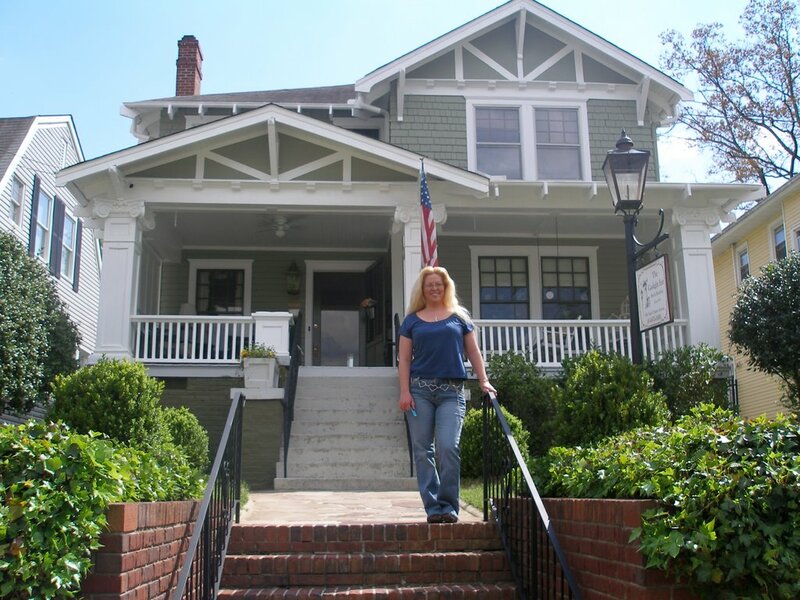 We stayed at a great bed and breakfast called the GasLight Inn. It is located about a mile from the park which gives you a chance to run through some nice Georgia neighborhoods as well. 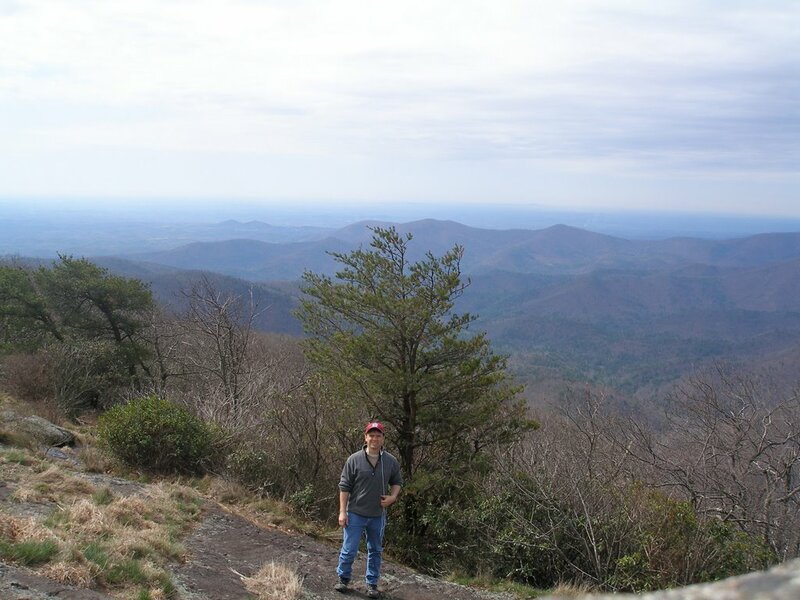 The inn is located in the trendy Virginia Highlands area which also offers great shopping, restaurants, and nightlife. Our first day we had a nice lunch in the park, then did the tourist thing by visiting Atlanta Underground. We wound up at Neighbor's bar for Karaoke. Michelle did "Crazy" and I did "Brain Stew".